Chevalier designed this paisley with a streamlined, retro pattern. The tie is woven with 100% silk and handmade with attention to finest details. 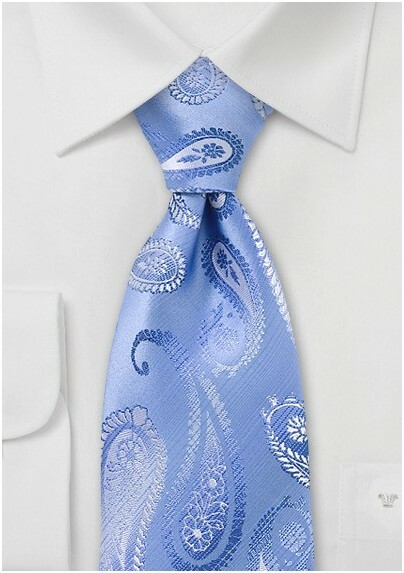 The shiny sky blue and silvery paisley has a 60’s retro aesthetic. The subtle colors have an elegant, classy look that works well with grey and navy suiting. 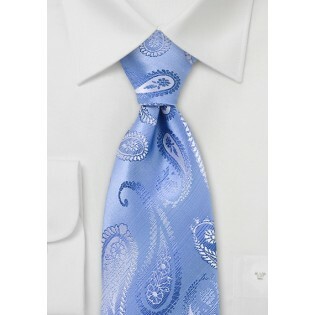 Showcase this paisley print by pairing this tie with a white oxford dress shirt. You are sure to fall in love with the stylish tie.